If you are thinking about joining doTERRA, you may have TONS of questions about the whole doTERRA sign up process or you may be ready right now. I have been using their products myself for six years and selling them online for almost that long so I am here to answer your questions with this essential oils guide full of FAQs! If you are ready to join doTERRA, just click the link below! DoTERRA has changed my family's life... literally. My daughter minimizes the effects of seasonal threats with Breathe Respiratory Blend and lime essential oil. I have less issues with occasional stomach upset thanks to peppermint essential oil and Digestzen Digestive Blend. InTune Focus Blend helps my husband keep his focus while getting his master's degree. My youngest daughter even asks for Serenity Restful Blend at night and goes to sleep so much easier with it! We recently moved to Germany where my husband serves in the USAF and using On Guard Protective Blend along with the A2Z Chewables really helps support our healthy immune function. It's wonderful knowing I can help my family with everyday issues and health naturally. I have comfort using doTERRA, whereas I never had that with conventional medicine. " I began my doTERRA journey when I went home for Christmas 2013 and my sister shared her Wild Orange Essential Oil with me and I loved it. Rebecca has been such a blessing educating me on Doterra oils that I have now signed up under her as an LRP. Her communication skills are the best I’ve seen in years. I’m impressed on how quickly she responds to me, always responding with excellence. I never have to get frustrated in waiting for a response or having to repeat my question to her. She is extremely thorough and responsive. I love her passion and continual efforts to forward practical information out to her LRPs. I believe Rebecca wants the best for her family and wants to share her bests with the world. I am grateful our paths have crossed even though we are miles apart. I hope someday to meet up with her to give her thanks in person for changing my life and my family’s life for the better." I began my doTERRA journey when I went home for Christmas 2013 and my sister shared her Wild Orange Essential Oil with me and I loved it. Rebecca has been such a blessing educating me on Doterra oils that I have now signed up under her as an LRP. Her communication skills are the best I’ve seen in years. I’m impressed on how quickly she responds to me, always responding with excellence. I never have to get frustrated in waiting for a response or having to repeat my question to her. She is extremely thorough and responsive. I love her passion and continual efforts to forward practical information out to her LRPs. I believe Rebecca wants the best for her family and wants to share her bests with the world. I am grateful our paths have crossed even though we are miles apart. I hope someday to meet up with her to give her thanks in person for changing my life and my family’s life for the better." - Cathy G.
Two months ago I joined Doterra as a wholesale buyer but in one week knew I was going to do it as a business. The reason is simple, the oils work - and they work quickly and effectively. Rubbing On Guard on my feet morning and night and diffusing it during the day really helped support my healthy immune function. I've had success with rubbing peppermint on my stomach to alleviate occasional stomach upset. If you want to try a quality product that will help support your health, then definitely try doTERRA Essential Oils." How much do I have to buy every month? Nothing. After you purchase the membership enrollment kit, there is no minimum quota, obligation, recurring charge or mandatory monthly order. Click here if you want to learn more about the OPTIONAL monthly buying program aka Loyalty Rewards Program (LRP) where you can get up to 30% of your purchases back in free product points, which you can redeem for free products. Nothing. You really don’t have to sell anything ever. You can if you want to but there really is no pressure to sell. If selling interests you, click here to learn more. If you don’t already think doTERRA essential oils are the BEST view my online class and you can either watch a video of my class or read through the class. It’s pretty much exactly what I would say to you if I were teaching the class in your home and is a good doTERRA membership overview. Are doTERRA oils better than others? Yes. Read my article called “Top 10 Reasons Why doTERRA is the Best Essential Oil Company” to see you can see why I think it’s the best essential oil brand. How much does it cost to join doTERRA? Kits start as low as $150 US and include the $35 membership fee and entitle you to wholesale pricing for one year with no monthly minimum and no auto-renewal. An enrollment kit is the smartest option, but if you want, you can pay the $35 enrollment fee and then buy individual oils you would like. How much is the doTERRA starter kit? How much are doTERRA oils? Click here to view the price list. If the price seems high to you, remember that doTERRA essential oils are pure with absolutely nothing added. Pretty much every other company adds inexpensive and sometimes dangerous fillers to their oils to get the prices down. They are also highly concentrated. For example, there are about 50 lemons in just one bottle of lemon essential oil. What are the doTERRA products? 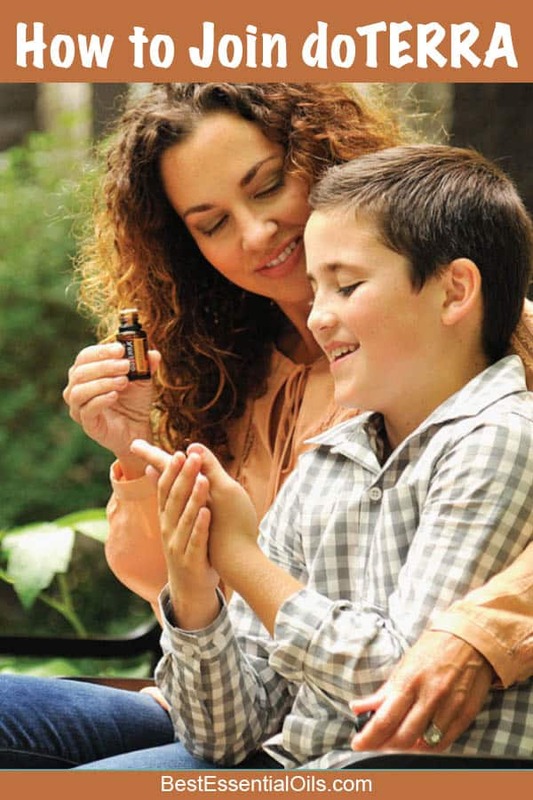 View the product guide to learn what essential oils are, how to use them, what CPTG means and a list of every product and some of its uses and benefits. This can best be explained by looking at the price list. Notice the different column headings. PV is usually the same as Wholesale except in some items, like kits since there is a discount for those items. How long does my wholesale membership last? Your initial enrollment lasts for one year. After one year if you want to keep buying, on the next order you place you will be charged a $25 renewal fee and you will receive a free bottle of peppermint. If you do not want to renew your membership, simply do not place an order after your first year and you will not be charged the yearly renewal fee. You may get those details here. Also keep in mind that with LRP (monthly) orders shipping is free and if you live near their corporate offices, you may always pick up for free. How do I cancel my doTERRA membership? You don’t need to do anything if you don’t want to buy products anymore. Just simply don’t order and after a year your membership will automatically expire. If you wish to renew your membership anytime after a year, simply place an order and and you will be charged a yearly $25 membership fee and given a free peppermint essential oil. Since it’s wholesale cost is $22, your membership kinda sorta only costs $3 a year. HOWEVER, if you participate in the optional monthly ordering program called LRP (Loyalty Rewards Program) then you will need to call member services and cancel that or you will continue to get your monthly orders. Make sure you use any points before you do or you will lose those. There are just a few easy steps to get started. After joining, you will be able to buy as little or as much product as you want at wholesale prices for one year. Change the shipping country and language if you want and click the “Continue” button. Enter your personal information and create a password. The “Enroller ID” should already be filled in for you but if not, enter 183977. Either choose to pay the $35 membership fee by clicking the “Add” button and skipping the rest of the page or choose one of the starter kits that include the membership fee. See more about each kit by clicking on the photo for that kit or view a list of all the enrollment kits. Once you have selected the kit you like, click the “Add” button to the right of it. Make any changes to your shipping address and choose your delivery option. See how the standard shipping is $6.99? The 7 shipping points are their way of reimbursing you for shipping. So you pay for shipping up front, but then they give you 7 SRP (shipping reward points) approximately 15 days after the end of each month. You can use those points to pay for $7 (7 PV) worth of essential oils. Fill out your payment information and click the “Continue” button. Within a day or two, you should receive an email from me welcoming you to my team and your starter kit a few days after that. Please feel free to send me an email if you have any questions or comment below! I ordered the Family Physician Kit and I was very happy with it….I just signed up today because there are so many other oils I want to get. I am so glad I found out about essential oils. I’m so happy to have you on my team and look forward to supporting you on your essential oils journey! Eeep! Just got my family physican kit in. So excited!!! Am loving that I finally signed up and am so glad I signed up under you, I have found some really great resources on your page. Just ordered my starter kit. Can’t wait to try them!! LOVE doTERRA. It has been so helpful to our family. Thanks for all the great info! I signed up yesterday and look forward to receiving my first doTerra shipment. Just signed up for a family physician kit today. Started using them at Cleveland Clinic- excited to try more! I am currently trying to convince my husband essential oils really do work. I have been using a sample for 2 days now and it works for me! Hi! I’m loving your blog and I definitely want to get the FamPhys Kit!! Essential oils are awesome! I will click on your link about joining you and read more! Thank you! I’m seriously considering signing up. I’m very new to essential oils & it seems to be the best & most cost effective way to build up my supply & get my family going as well. Thank you! I would love to have you sign up with me! So enjoying the oils for myself and the fam. I have my 90 year old mother at home with me. She’s recovering from a broken femur in the hospital and we’re diffusing On Guard and melaleuca right now! Also using Deep Blue for her muscles! If not, then on top of my order each month I pay $9-12 in shipping? That is basically the 25% discount on a $50 order. You do not have to buy so much product each month. They do have an monthly program but it is optional but very good. You can get up to 30% of your product back in points. For regular orders you can get half of the shipping back in points. For the monthly (LRP) orders, you get all the shipping back as points. I have tried a few different doTERRA oils and thought they are wonderful. They were quality to have helped so much. JUST TRY IT! What do you have to lose!? I love high quality essential oils. I’ve been using them for about 8 months now and am always impressed with the results. We use them for health as well as cleaning the house! I am very interested in essential oils. As a Health Coach i am interested in trying to help people as naturally as i can. Blessings to you an your family. You’re welcome – and please let me know if there is anything I can help you with! Thank you so much for all of the helpful information regarding EO’s… As a oil “newbie”, I find it really informative, and I’m enjoying seeing how some of these oils best fit my needs. My Daughter got me into the starting stage of using essential oils n I really like them. N I luv going thru ur blog n pintrest pages for all kind of Great Ideas! You’re welcome. Thanks for visiting my blog! I would love to try essential oils! Can I join doTERRA if I live in Mexico? Yes! It’s totally possible to join with me. I have people under me all over the world. Mexico is an exciting place to join because they opened up there recently and there is a lot of opportunity for growth there if you want to sell the oils (but you don’t have to). I don’t speak Spanish but I am related to several people who speak fluently. It sounds like you know English great but I could have them translate things if we need to. I am already signed up under someone else, but I appreciate your resources!! Hi! I am so glad I came across your website! I have been using a few different oils for my family and have been wanting to expand my collection as well as build my own business. I can’t wait to keep reading and learning more! I would be happy to answer any questions you have about essential oils. I have never tried essential oils and have been doing some research on it for the best ones to use. I would love to be able to try this!!! It is very interesting on how many things these oils can do. I love reading your tidbits that I get from you. Thanks! Please let me know if I can answer any questions for you about essential oils. I’d love to help you with your research. Thank you so much for all your information. My husband and I have been considering moving towards essential oils and you have helped us answer a lot of questions! Thank you! I love your site. I have printed many of your recipes. I just joined the Do-terra family and am loving my essential oils. I brought my lotus defuser to work and my co-workers love it. With insurance cost going out of control and medical bills many of us can’t afford insurance anymore so we have to take care of ourselves the natural and healthy way, by living a clean and active life and protecting our cells and building a strong immune system. Essential oils are a great way to start. Awesome. One more question. If I sign up for the LRP, am I committing to anything beyond Oct & Nov for sales? Or can I just opt out of that starting in December? Thank you for the info. 🙂 I have never used the oils before so I am interested in seeing if they really work well. You are not committing yourself. You can change the LRP order online yourself at any time and/or delete it. If you do delete it, you lose any points you’ve accumulated but that’s all. I’ve tried past tense and it is quite soothing. I particularly love using it on my neck after a stressful day. It definitely helps relieve tension. I am still a complete novice with essential oils. I just love how informative you are! I’ve been using doterra for four years now and I can’t get enough!!! I’m an addict and I LOVE it! It is try The Lord’s gift to us all! You’re blog is fantastic! Thank you for all you do. You’re welcome – and you’re so sweet! Have just started using Essential Oils a few months ago. So far I am very happy with the ones I have tried. Hoping to get more soon. I love you page and all the wonderful info you share!!! Thanks so much for this post! There is so much information here and it has been very helpful for me! Thank you so much for all the wonderful, helpful information. I have been doing a lot of research on EO. It can get very overwhelming with all the different information out there. I will put this page on my favorites bar to come back to for information when needed. I can’t wait to get started on EO and see how they work for myself and my family! I’m happy to help. Thanks for stopping by! Just starting to use doTERRA essential oils and I’m loving them! I have been learning from your emails about these essential oils. They are amazing at what they can help with. I would have never known about them if I did not read them on your website. Thank you for all your information! I am enjoying learning about essential oils. I am thankful for your help in this adventure! I am so wanting to try essential oils and lead a more holistic and natural lifestyle. My son has a hard time transitioning between his fathers home and ours and I would love to try oils to help his transitioning. Of course for all the other amazing reasons as well but that has been on my heart to fit it into my budget somehow. DoTerra has stuck out to me the most. doTERRA is the best, at least I think so! I’m happy to answer any questions you have. doōTERRA has changed my life! I decided to sign up to become a Wellness Advocate and have sworn by the oils ever since. I am slowly converting all of my friends into believers as well. I thoroughly enjoy reading your posts on the blog- I feel like they have helped me in my transition to a healthier, more natural way of living, and for that I say thank you! Merry Christmas! I would love to have you join my team! Please let me know if you have any other questions. So many interesting facts here. I am trying to wade through it all. Will be back to glean more info — thanks! I’m glad to help – and please let me know if you have any questions!